Ok, apologies need to be made…. I have neglected my blog. It’s not that I wasn’t doing anything else, I just didn’t have much to write about until I had finished this project. I know I had posted that fabulous green and turquoise silk, and I will still make it up. Although it may not be along the lines of the dress posted! While indecision plauged me though, I had something lined up! I had bought this spotty cotton and silk grossgrain from my favourite fabric shop, aaaages ago. I won’t even try to calculate how long I have had it! Anyway, I had seen a jacket in a shop, about 2 years ago (!) 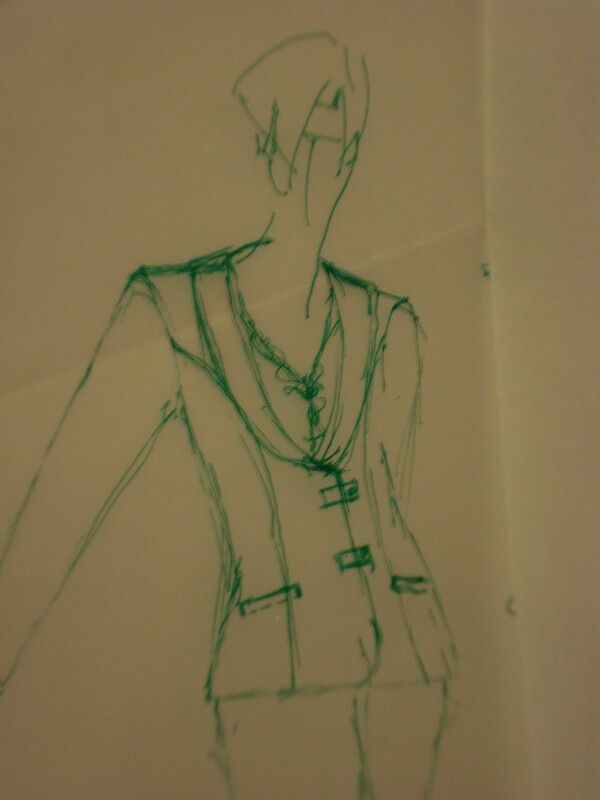 that I liked the neckline of, and I quickly sketched it. 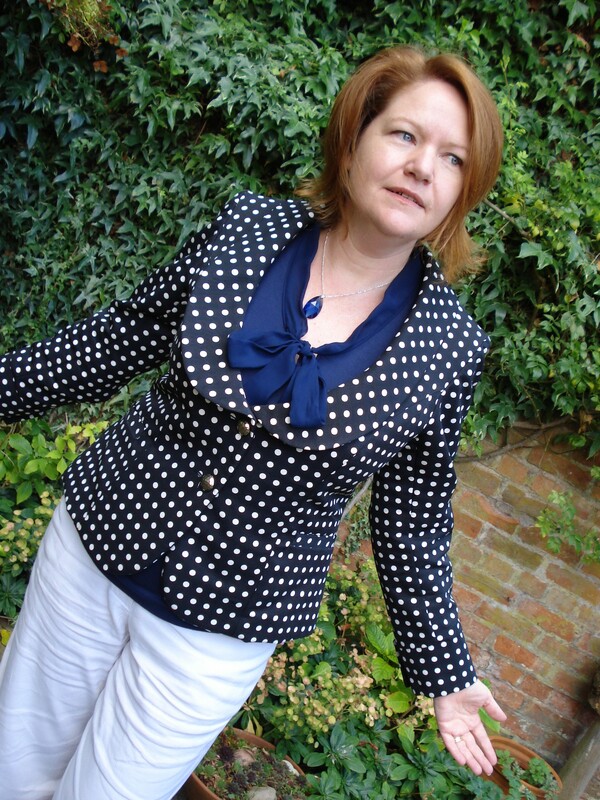 This was the basis of the jacket I have just made. Sorry this is a bit blurred! I wanted something that would fit snugly in the back, and also provide some sort of indication of shape at the waist (a bit of a cheat, as there really is none!). 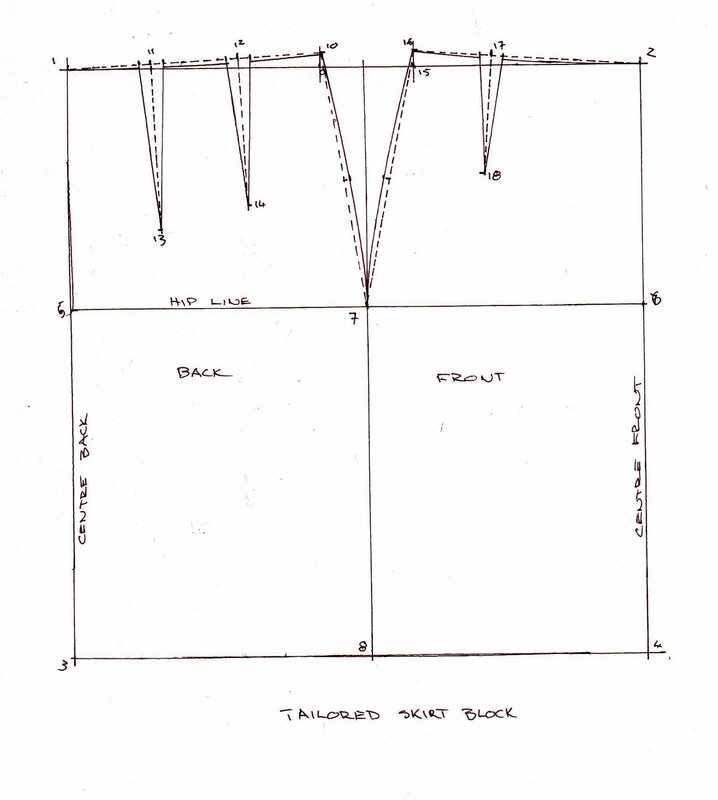 I made the basic tailored jacket block and had husband draw on the panel lines, with me checking in the mirror! 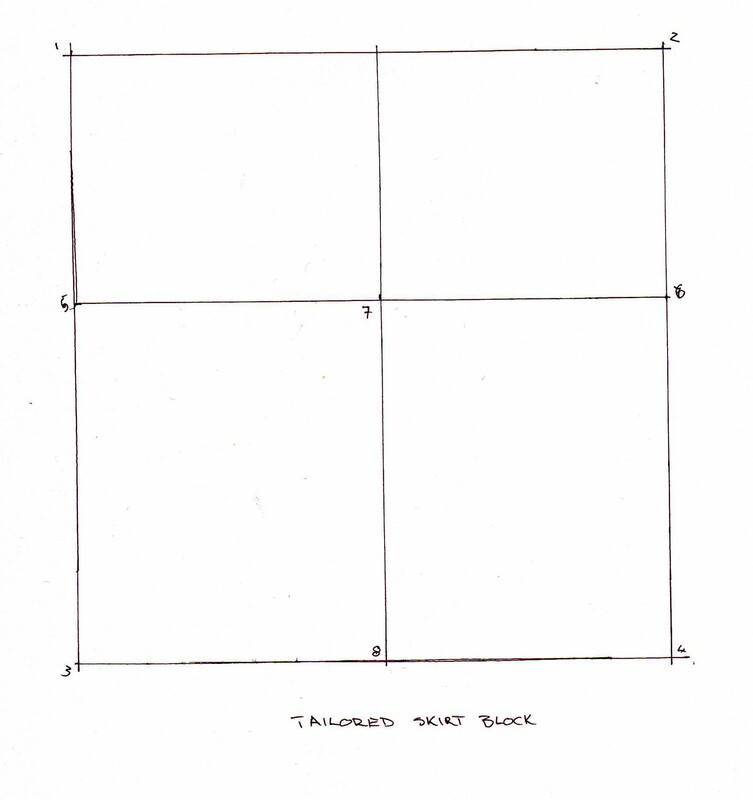 Then I cut the block up and transferred the lines onto the paper pattern. I closed the darts and voila! 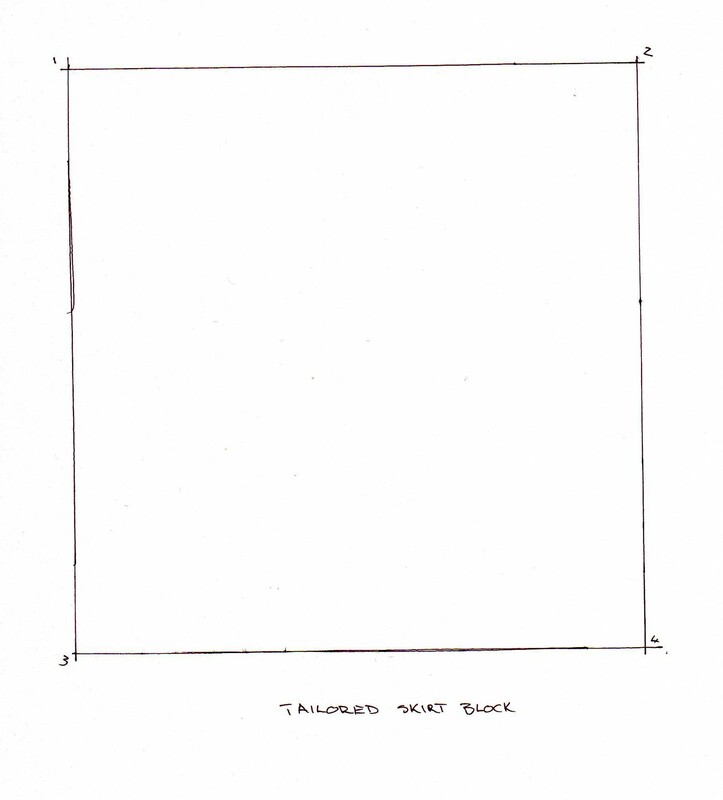 The front is plain, just two panels with welt pockets. There wasn’t much point in doing anything fancy as it would detract from the collar. 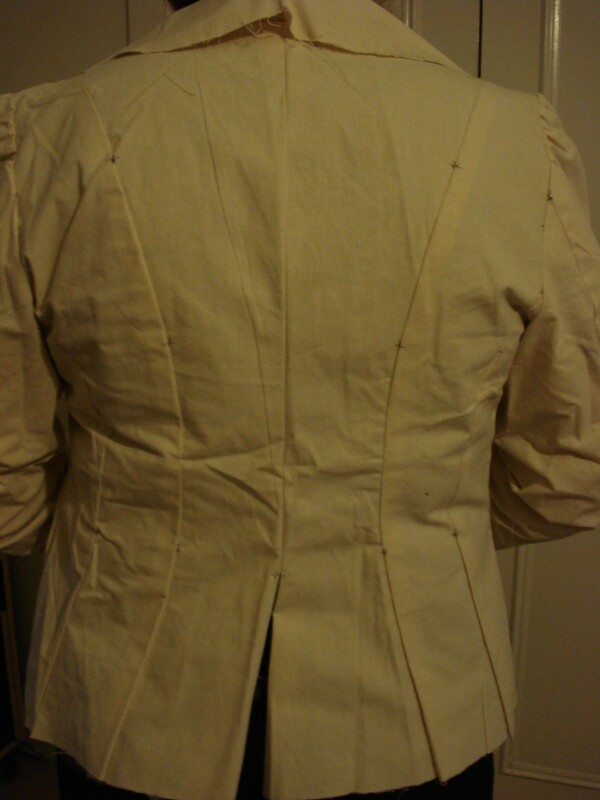 The toile was cool, the shape worked really well and I love the curves on the back. Although, thinking about it, you can’t really see the section seams that well amongst all the spots! Oh well. Another thing to think of is the collar. 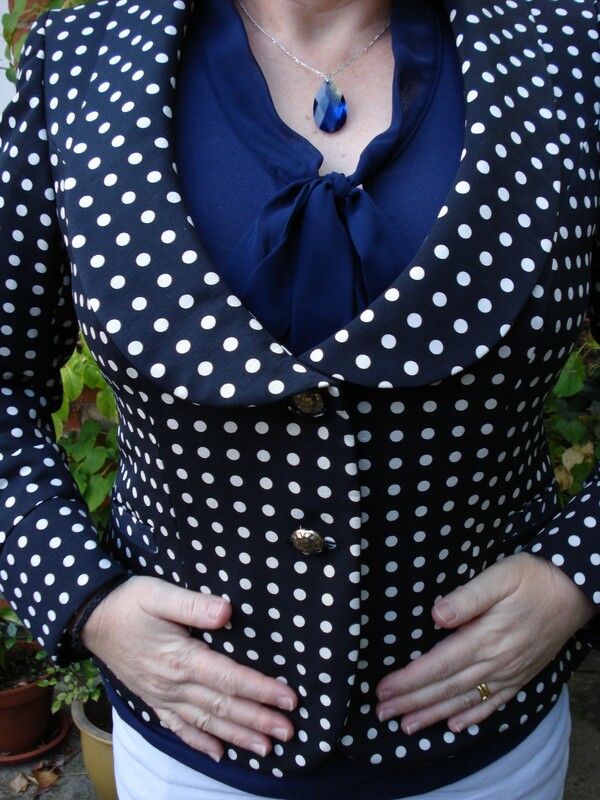 When I toiled the jacket I only did one layer, and it seemed ok, but….. In the finished garment the narrow ends near the centre front seem flat. 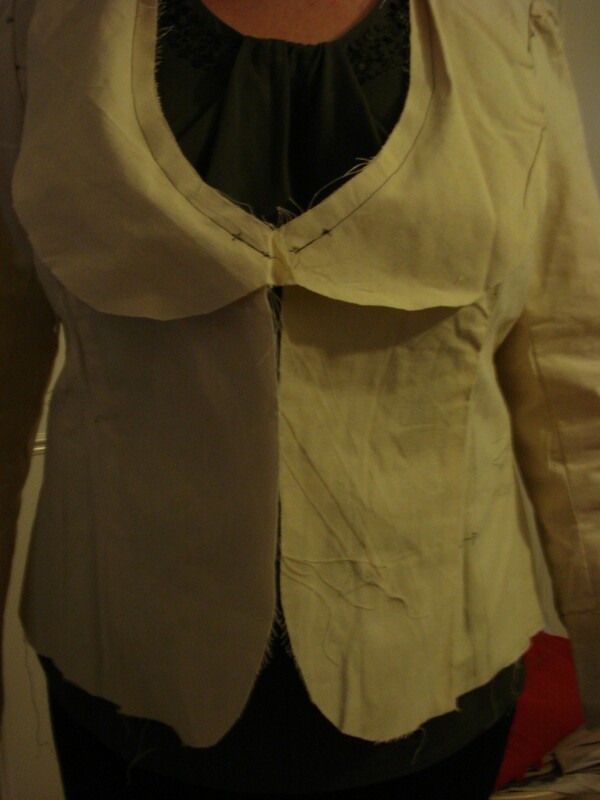 I am going to have to tighten up the neck edge of the collar pattern to encourage a bit of a rise there. 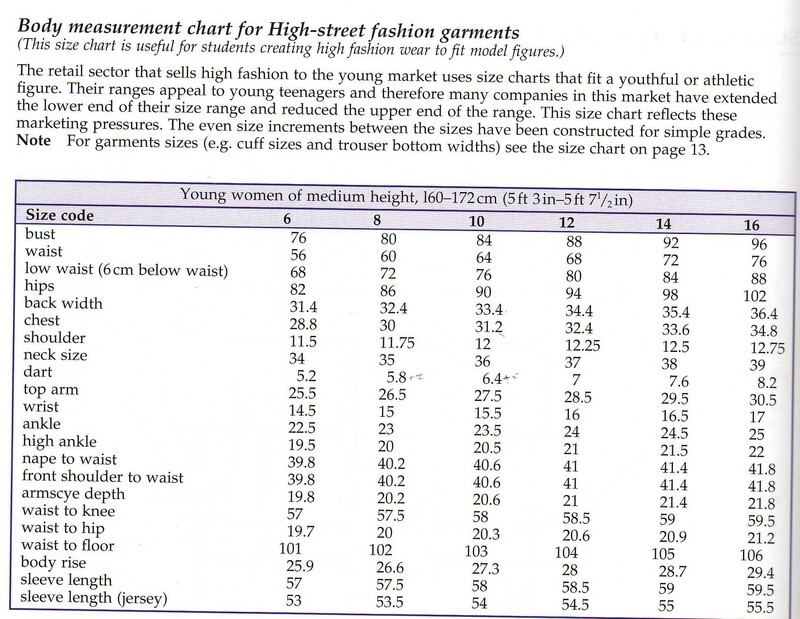 But it is no train smash, perfectly wearable! lol. 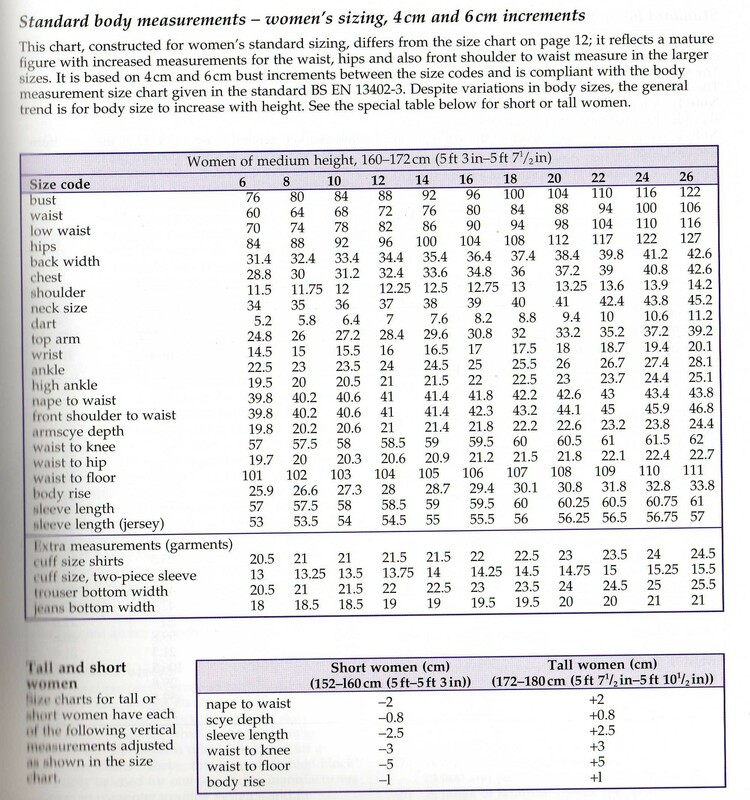 So, the structure – I used fusible interfacing from Gill Arnold. 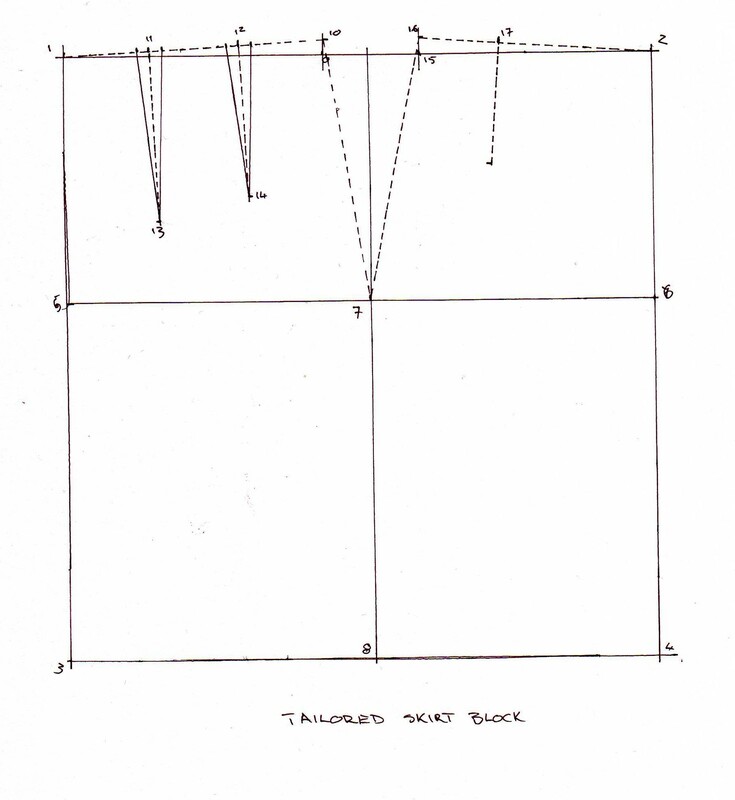 I used the weft insertion on the “t-zone”, the hem edges and the upper cuff and collar. The facing, under collar and cuff were interfaced with the fine sheer polyester. This is to reduce bulk while still ensuring support. 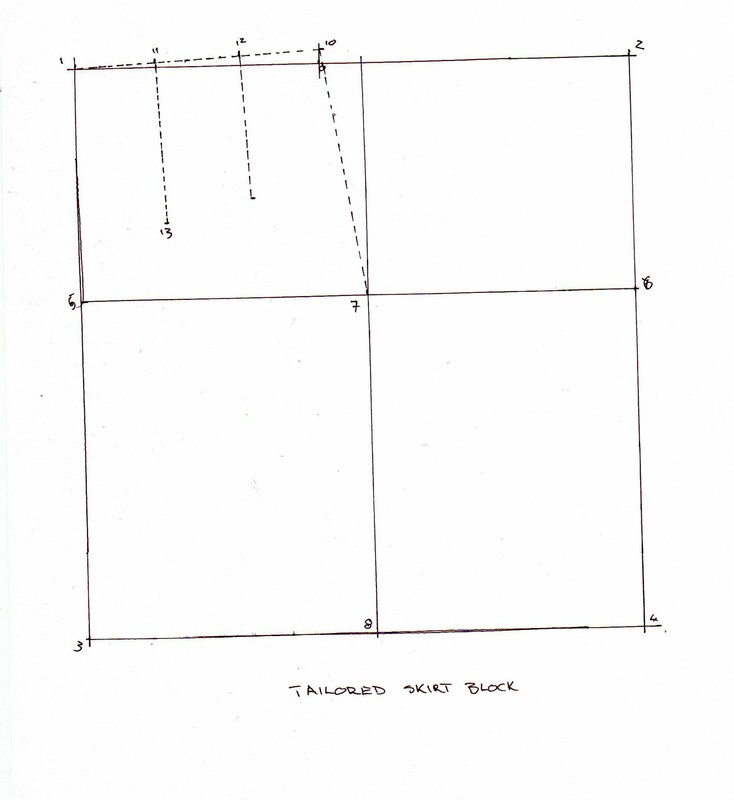 I made a pattern for a chest piece and cut the canvas on the bias. I didn’t use any canvas in the collar, perhaps once I fix the pattern and make another I may use a bit on the lower edges, just to make sure the shape is held properly. Cotton tape was fused down the front opening edges to make ensure a sharp fold. 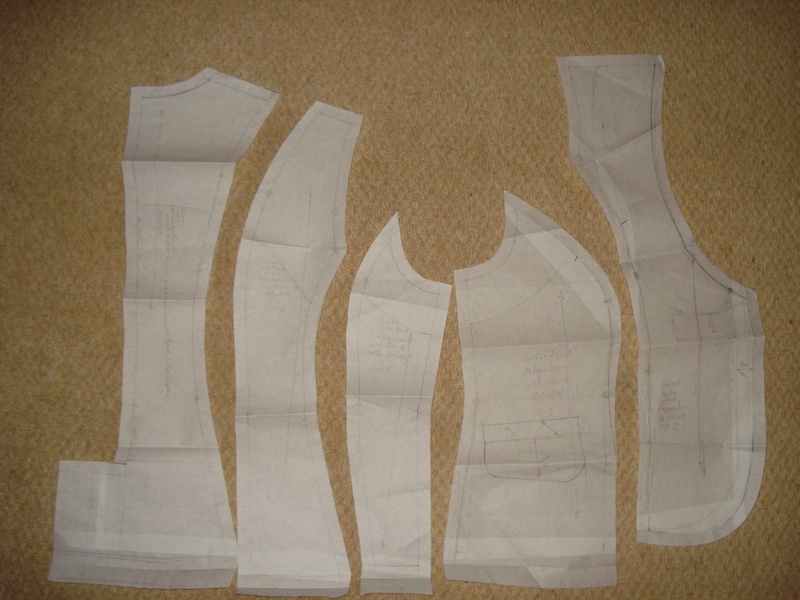 The shoulder pads are a felted tailor’s set, also from Gill. And this is the finished product. Daughter no 1 thinks it’s really cool to take photos at an angle, so no need to adjust your sitting position while viewing the pics! 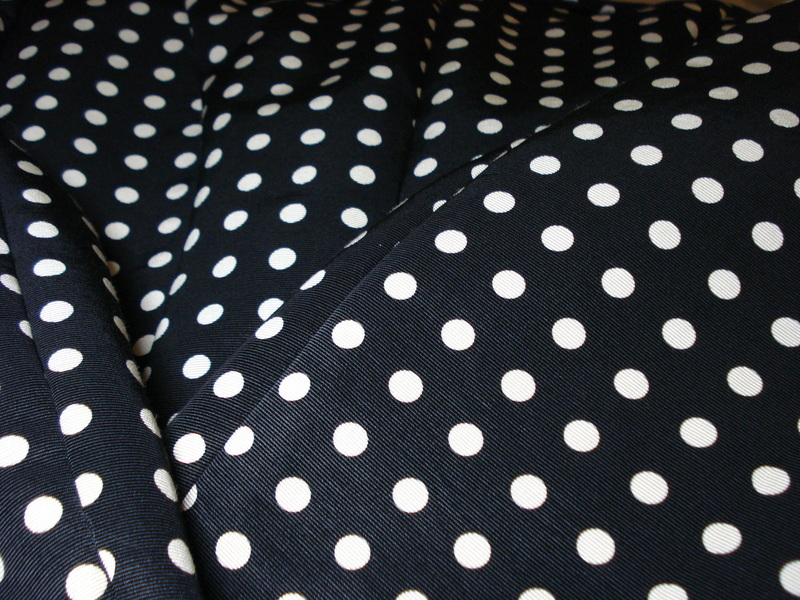 I seem to have spots on the brain, as I am making a blouse now, a black and white spotty silk chiffon!